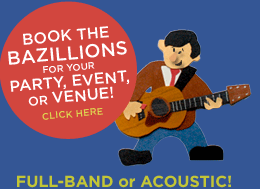 Welcome to The Bazillions fun page! Let your creativity and imagination blast off and check back often for more activities. 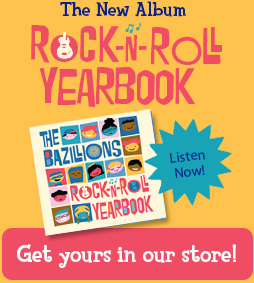 Record your memories and show off you style with this fun activity book based on The Bazillions current release Rock-n-Roll Yearbook. Draw pictures of your family, favorite things, and show off your smarts. Just click below to join our mailing list and we will send you a download. Print it off and start creating your own Rock-n-Roll Yearbook today! 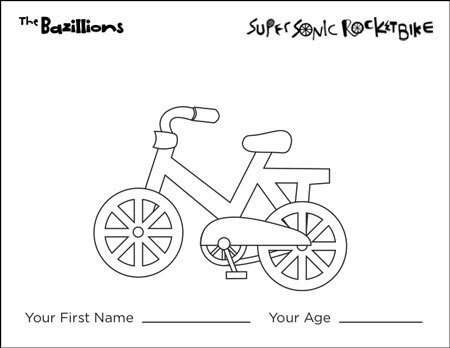 What does your Super Sonic Rocket Bike look like…Red with flames? Shiny silver? Green with purple spots? Download the page below, print it out, color it in, and don’t forget to draw yourself riding off into the sky! And when you’re done, send us a picture of your artwork and we’ll post it on our web site. Click here to see what kids have sent in so far!